MSA-X Observing the creative phenomena. MSA (Updated Synthesized Manifesto), synthesis of ideas, individuals and mediums involved in the creative process. 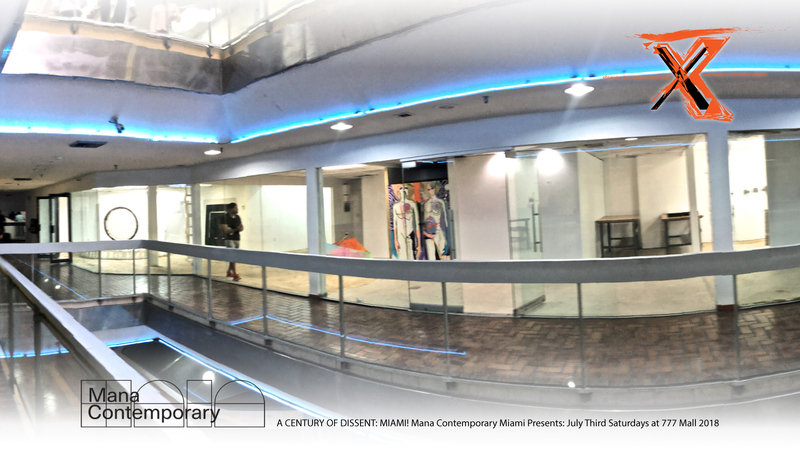 This experimental space existed (1985-1991) on the fifth floor of the old building of the SINGER sewing machine company in Old San Juan, Puerto Rico, previous Libreria Campos. Opened on August 30-31, 1985 in San Juan, Puerto Rico, by Teo Freytes, Yrsa Dávila, César Stephenberg and Roberto Torres, on the same days that the country was shaken with a series of arrests in Puerto Rico, and some cities in United States by FBI against citizens linked to the island's independence movements, specifically to the group calling itself "Los Macheteros", but that's another story. It was a space where visual arts would be presented side-by-side with dance, theater, music, performances, video, and poetry. Within this space, there would be no labeling of works by genre, since the M.S.A. considered everything to be art; which is why no censorship was applied. 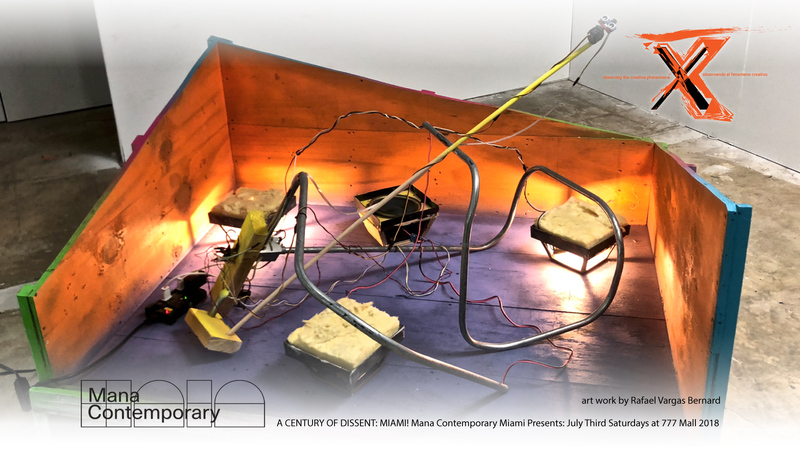 In addition to holding events to run parallel with exhibitions, the space was used to introduce the work of young and emerging artists of Puerto Rico and as a workshop for artists. Only one rule: Autonomy / Synthesis = The artist decides what he presents and is responsible for the content of his work. Place of encounters and debates where the vital element is art, in its different manifestations and the synthesis of everyday elements that confronts the viewer with the surrounding world, without restrictions. 30 years later we continue with this task, now in the virtual space. Jon PylypchukBorn in 1972, Winnipeg, CanadaLives and works in Los AngelesJon Pylypchuk’swork evolves from the realm of the pathetic. His drawings and sculptures bring to life a make-believe world populated by abused cuddly creatures, where emotional frailty and menace are worn on every shirt sleeve and pet tag. Mirroring the naked state of the human condition, Pylpchuk’s tragic-comic figures are both loveable and loathsome, recreating instances of pitiful irony that ring all too true. The quintessential extensions of American identity are intertwined in Tim Buwalda’s new series of paintings, expanding the scope of his incisive commentary on self-actualization and social change embodied by classic cars. The enigmatic set pieces of Neighborhood Projects engage audiences’ imaginations with glimpses of property bordering real models, disclosing just enough authentic details about their modest home-lives to suggest dramatic backstories for the unseen inhabitants. sovereign’s discourse upon light and space is characteristic of Nöger’s paintings. In his sensuous, delicately color-shaded works he pursues the traditional parameters of painting. He explores the possibilities of the interaction of light, color and open space. His recent work incorporates translucent materials, which emphasize the artist’s interest in light and its manifestations. Following a fascination with the performative nature of historical narratives, Cuban-born artist Alexandre Arrechea brings new work under the banner Uninhabited Order to Fredric Snitzer Gallery. Mixing multi-media installations, sculptural pieces, and wall length watercolors, Arrechea assembled structures that are both devoid of physical presence and inhabited in a new way. 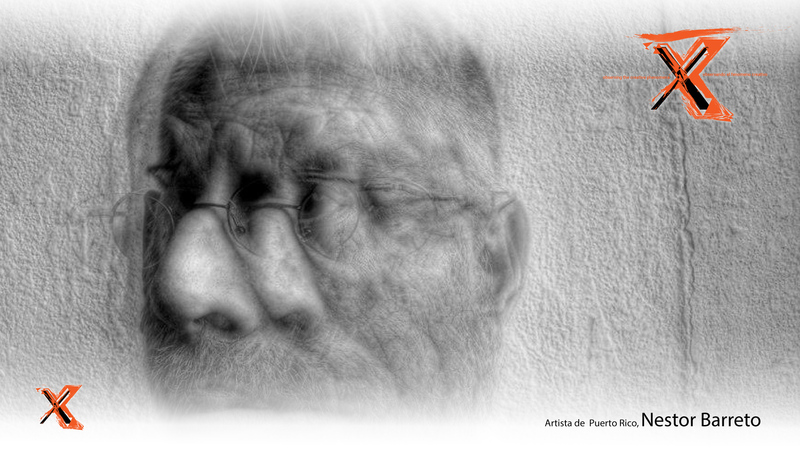 Artists and friends” in the Hamlet Collection is the second exhibition presented by The Rodríguez Collection in collaboration with other private collections as part of the program to unveil art that was produced in Cuba and today is preserved outside the island. 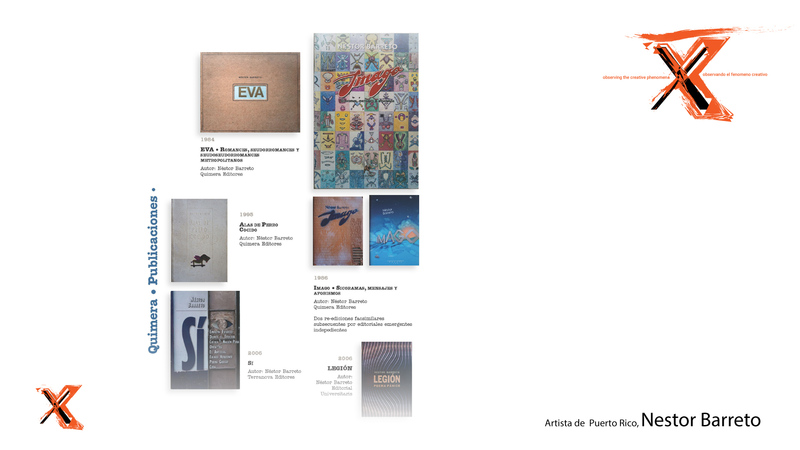 An all-inclusive book on the works, artists and exhibitions of The Rodríguez Collection, with more than 50 superbly reproduced artworks from one of Miami’s foremost collectors of Cuban contemporary art. This title is dedicated to showcasing the unique visual traditions of the island, spanning decades of styles and subjects, culminating in a volume sure to be an indispensible addition or introduction for any art enthusiast. When it comes to modern and contemporary art in the 305, Pérez Art Museum Miami (PAMM) has been at the forefront for the last 35 years. 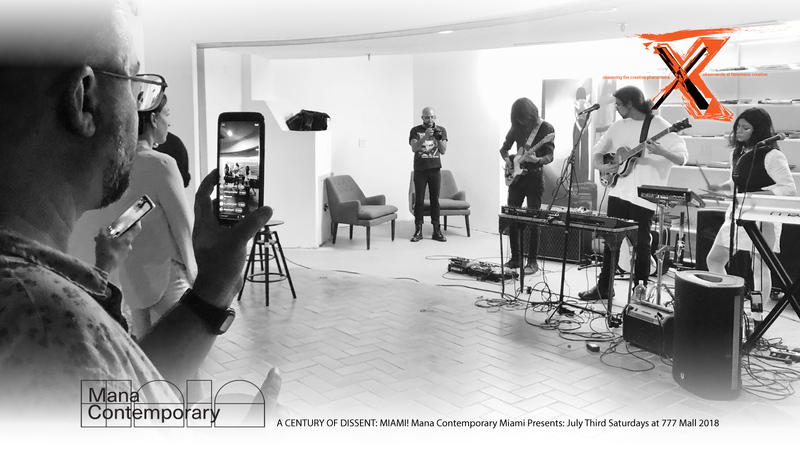 Since its inception, PAMM has been committed to presenting art that highlights Miami’s diverse community and encouraging everyone to see art as an incentive for genuine human interaction, communication, and exchange. Relational Undercurrents: Contemporary Art of the Caribbean Archipelago is a major survey exhibition of twenty-first-century art from islands throughout the Caribbean basin. Four sections reveal thematic ideas shared by artists whose roots are in the Caribbean: Conceptual Mappings, Perpetual Horizons, Landscape Ecologies, and Representational Acts. Launching its second Fall Season, LnS Gallery presents REDACTED, an exhibition by César Trasobares. Featuring a suite of recent constructions made with recycled metal bookshelves, the show also includes special pieces in various media and a site installation in our project space, LØUNGE. The word textile comes from the Latin “texere” which means “to weave”, “to braid” or “to construct,” and is the common root of words like text and textile. There is a discourse that flows between the threads and the fabrics of the artworks by the women artists participating in this exhibition. Welcome “After Hurricane Maria” / “Despuès del huracàn María"
“3W,” three individual art show where women are the focal point, both as subject matter and as artist. “3W Women’s view” features the work of Aimee Perez, Angela Alés and Milena Martínez Pedrosa. Each woman presents an individual show that collides and highlights the complexities of being a woman in art, with all the passion, struggles and joy therein. Critical analysis of these unique show is presented by the art critics and curators Janet Batet, Roxana M. Bermejo and Odette Artiles. Soy Néstor Barreto (1952) • Este documento tiene comoobjetivo informar mis cualificaciones para ocupar una plaza en suinstitución como maestro, específicamente de diseño de exhicionestemáticas y / o publicaciones.Estudié en la School of Visual Arts en Nueva York,de donde me gradué en 1978. En esa ciudad medesempeñé como diseñador en Formula One Graphics.A mi regreso a la isla, Desde el 1986, como miembrofundador del Centro de Investigaciones Carimarcolaboré junto Aníbal Sepúlveda y Jorge Carbonell enla producción de las memorables publicaciones yexhibiciones [en y fuera de Puerto Rico] en las queCARIMAR se vió involucrado hasta su disolución enel 2009.Simúltaneamente desarrollé dos proyectos editoriales,Quimera Editores [1990s] y Colección Maravilla[2000s], colaboré en numerosas revistas y proyectosde arte y literatura y di clases de diseño en la Escuelade ArtesPlásticas.En este momento me hallo colaborando junto aJoseph Harrison y su equipo de trabajo en un proyectoque considero de vital trascendencia para el accesotanto [del] [de la] ciudadan@ ordinari@ como [del][de la] académic@ seri@, a los documentos históricosnacionales, el Archivo Digital Nacional [ adnpr.com ].Considero la arquitectura de información mi campo dedesempeño.Mi dirección electrónica es colección.maravilla@gmail.com, mi teléfono 787 462 7612 . Estoy activo en Facebook. 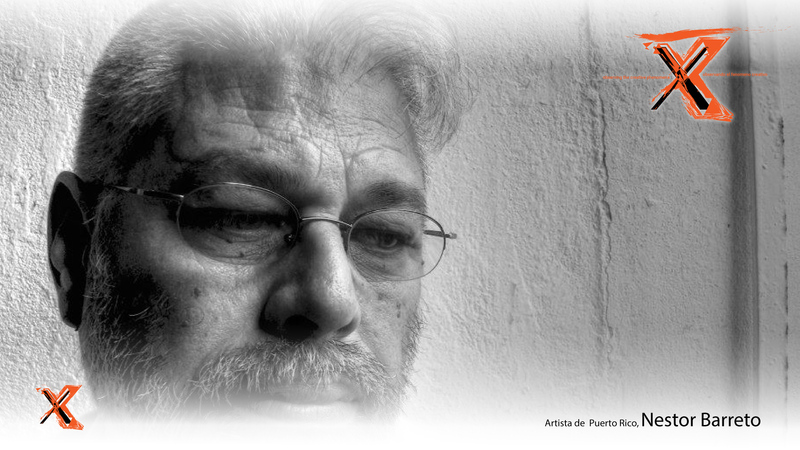 Carlos Fajardo, painter, professor writer, in this post we chose to put one of his interviews with FrenteSonico in Puerto Rico, also on the blog you will find critical essays and other information on this excellent artist that live to the max.